Business incubators from several sectors of the economy in East Africa gathered at Utu House, Kabete during the week for the Incubator Growth to Excellence Programme, an event aimed at strengthening the eco-system supporting innovative entrepreneurs in East Africa. The event saw trainers from Kenya, Somalia, Tanzania, and Uganda gather to gain knowledge, get the right systems and tools of improving their capacity to deliver incubation- and business development programs in their hubs. According to Liesbeth Bakker, founder of The Entrepreneurs Hub and the co-founder of the Centre for Interactive Studies and Creative thinking, there are tons of entrepreneurs out there seeking the right innovations for successful startups. “Unfortunately, many business incubators lack the right tools and skills that foster customer funded innovations that translates to successful economic growth. How can trainers offer ideal strategies for business startups if they lack skills, knowledge and the right tools to help them grow?” Ms. Bakker said. The impressive numbers of the participants in attendance was a clear testimony that incubators from East Africa and the continent, in general, are faced with many challenges, which hinder their growth. “Many hubs across the country, not only in Kenya but also globally, do not have the capacity to create their own content. This is one of the areas we will offer the trainers to help them have a clear value proposition aimed at targeting the right market and act on the strategies to deliver the intended results,” Ms. Bakker added. Hubs are the new “normal” in today’s industry. Currently, there are thousands of incubators across the world and the numbers are growing. They cover several sectors of the economy, which is why there are private, corporate, and public incubators with a distinct focus on a specific economic niche. “We incubate because there is a gap in the market. Companies have demands and they choose us because we are the right individuals that will accelerate their operations beyond the competition,” said Dennis, a representative for EldoHub, a technology, innovation and entrepreneurship trainer. Entrepreneurs and many business startups see incubation together with crowdfunding as the royal path to venture capital investments. By investing in such hubs, they are provided with an effective and affordable route to a fruitful chance of funding. Macharia Muhoho, an entrepreneur, investor, social innovator and one of the facilitators of the facilitators of the Incubator Growth to Excellence Programme, noted that many trainers fail to find the right clients to help grow for a lack of clear objective on what they should look and invest in. “Incubators need to focus on businesses that have the potential to grow. Look at the numbers and try to establish the scale of growth in an idea you want to help grow. It is important to focus on a business that has already established itself, one that makes you feel comfortable and has the ability to give you good returns,” said Gem Kodhek, an agribusiness advisor and a guest speaker at the event. Apparently, approximately 75 percent of startups fail to progress during the first three years. Others fail to make it beyond their first round of funding whereas others fail to generate revenue. 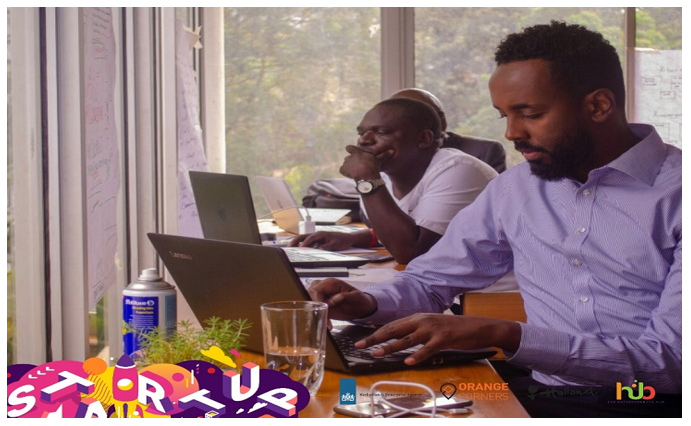 In as much as the funding landscape for many businesses in Kenya and other countries isn’t exactly stable, choosing the right incubator goes a long way in ensuring a solid beginning. However, incubators need to ensure that their programs are not long and drawn out in order to help customers quickly validate ideas for straightforward decisions and pivotal actions. Consequently, focusing on both the value and the customer amounts to a business that sells as opposed to focusing only on the customer. “Good programs grow entrepreneurs when they have a strong network, the right tools, and the right objectives, which provide the most relevant support and better utilization of the available resources for greater chances of success,” concluded Ms. Bakker.